Today finds us with our channel partner CSI on the third day of MSPO in Kielce, Poland. It’s a fantastic show! MSPO has grown rapidly over the past few years, and is now ranked third among European military/aerospace shows—behind the two major ones, which are DSEi in London and Eurosatory in Paris. You can see from the pictures, we have a superb booth—and it’s attracting a lot of visitors and a lot of attention. That’s probably because of the vibrant orange, which is now widely identified as Abaco’s color! We’re showing a range of our latest products, including the recently-announced RES3000 family of Ethernet switches (visitors are amazed at how we’ve been able to pack so much capability into such a small, light weight enclosure) and the MAGIC1 rugged display computer, which provides a real "plug and play" solution for many applications, and has already been deployed into some major radar programs in Poland. Poland, which is a member of NATO, is potentially a great opportunity for us. While most European defense budgets are either stable or in decline, Poland is investing heavily. The country has doubled its defense spending over the past five years. There’s a big challenge ahead for the Polish armed forces, though, to bring them up to the standard of the armed forces of many other countries. That’s because, for the most part, they rely on products dating back to the Soviet era. Things are moving here, though—moving rapidly, in fact. There are numerous large programs that will see ground vehicles upgraded, air defense platforms brought up to modern standards and a new helicopter fleet added. Working hand in hand with CSI, we’ve already enjoyed numerous successes in those programs—and MPSO provides the ideal opportunity to build on those successes. 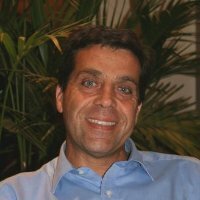 Philippe Constanty is sales director, Europe at Abaco Systems. Located near Paris, France, he has been with Abaco (and GE Intelligent Platforms) since 2001. Philippe has an extensive history in industrial and embedded computing with VMIC and, previously, Ecrin Systems. He studied at the University of Paris, obtaining a qualification in computer science.